I thought tax protesters were all those deplorable racist Tea Party rednecks what voted fer Trump. There is a distinct difference between a tax protester and a tax resister. You can verify this on Wikipedia. Democrats dutifully pay their taxes. We are not against taxation in general and would not be protesting the act of paying taxes. Tax resistance refers to a direct action to protest the government or a government policy. Great care would be needed to continue to directly support social organizations. 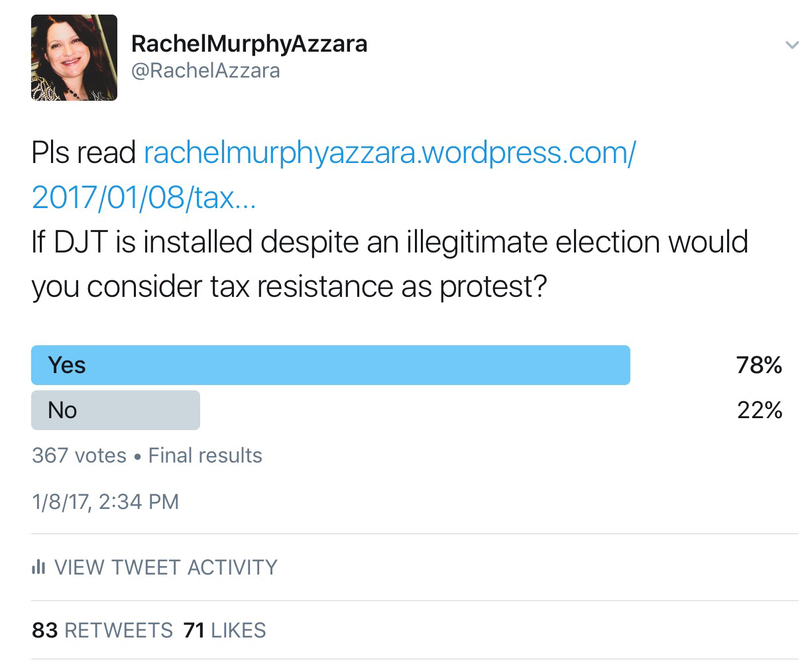 As I said in the blog, I do not support tax resistance as a mechanism in normal partisan politics-and I do not take it lightly. We are now very much outside the realm of normal, and may need to take stronger civic action. Well, I guess crying into coloring books and Play-Doh in the safe spaces wasn’t working.